Have you ever despaired over crispy ivy? Or wondered what it takes to get a cactus to bloom? Houseplants can seem like a mystery if you don't know how to care for them. With information now at your fingertips, it's easy to find out about your plant, discover what it needs, and get the most out of it. I promise you'll be rewarded with a healthy, thriving houseplant that's a source of pride and joy for years to come. Look up your plant in the Encyclopedia A-Z and find out how to care for it. 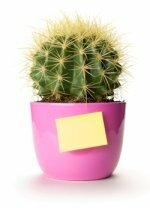 Suggestions for easy house plants -- including 10 House Plants You Can't Kill. Check out pests and diseases and find out what to do about spider mites, fungus, aphids and other things that are bugging your houseplants. 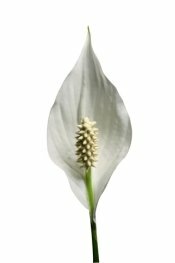 Take a look at this list of poisonous plants and keep your family and pets safe. Bring the beauty of the tropics to you with these tropical house plants. You already know that plants take in the carbon dioxide we exhale and give off oxygen we breathe in. But did you know...house plants can also clean the air? Many species remove air pollutants commonly found in homes caused by the chemicals in furniture, paint, and carpeting. Kind of gives you new respect for your foliage friends, huh? Hmmm...if only we could get them to clean the house too. Who says we have to wait to enjoy beautiful flowers? Even when there is nothing in bloom outdoors, it's a cinch to bring a fresh splash of color to any every room. 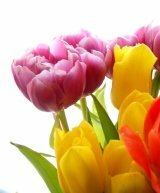 Spring has already sprung in florists shops everywhere. You'll find the sunny trumpet-shaped blooms of mini daffodils popping up along side tulips. And grape hyacinths add more than beauty to your indoor landscape...its blooms are delightfully fragrant. Put them on a pedestal. Indoor plantstands are a simple solution for displaying several small plants together. With a multi-level stand, you can easily transform a jungle into an eye-catching arrangement. Hang 'em high. Pot them up in indoor plant hangers and they'll be at eye level for all to admire. Drive them up a wall. Vertical gardens are perhaps the newest trend in indoor gardening. Check out these planters that make hanging them a breeze. Did you know that office plants are good for you? Okay, they won't bring your coffee, but they will boost your mood and create an instant garden ambience right there on your desk. Many of them even clean the air. Check these out. It's never been easier to find a few good candidates to share your office space. Prune. Pruning long vines will help them to branch out, creating a fuller plant. Got a plant that's getting too big? Some can be lopped off without harming them, some can't. 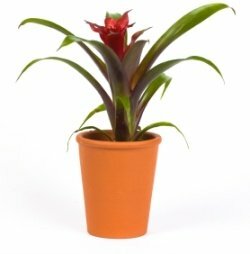 Look up your plant in the house plants encyclopedia to find out if, when and how to prune your plant. Clean leaves. Give plants the light they need to grow by removing built-up dust on foliage. Cleaning also helps to get rid of insect eggs. Use a damp cloth to gently wipe off leaves, top and bottom. Fine foliage (like Boston fern fronds) are difficult to wipe clean, so just spray them with tepid water to remove dust. Repot. Spring is the best time to repot most plants because they're starting their most vigorous time of growth. If roots are growing out of the container's drainage holes, give them a bit more space. Follow these steps for repotting house plants. Check for bugs. Look over plant stems and leaves at least once a week. Check under leaves, too (a favorite hiding place for tiny critters). Take a look at house plant pests to identify common insects and find out how to get rid of them. Tidy up. Cut off any dead leaves or flowers. They not only look unsightly, they can attract mold and insects. Cutting off spent flowers encourages more blooms. Flush out salts. Get rid of white, crusty build-up on the potting mix by slowly pouring tepid water over the potting mix. Allow water to run through the pot, then pour more water. Empty drainage tray. You can skip this task if you're repotting. Feed your plant. 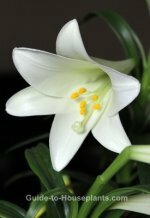 Increased daylight will make indoor plants grow faster. If you stopped fertilizing your plants for the winter, it's time to start again. 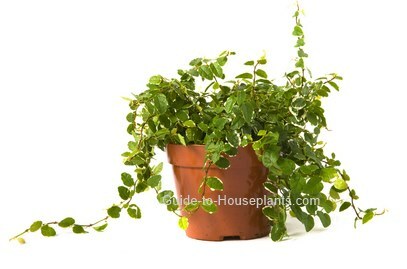 Here's what others are saying about Guide-to-Houseplants.com! "Your website is brilliant! I constantly refer to your site...your hard work is much appreciated!" "This is the BEST website I have come across. Thank you for all the help and information!" "It's fun to browse around, learn about different plants, and think, 'Oh, I've gotta try that one!' You've turned my interest into a passion." 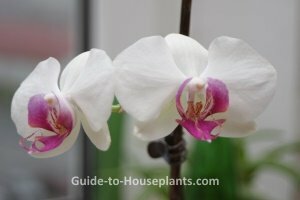 Guide-to-Houseplants.com is all about getting to know your indoor plants so you can bring out their best. My hope is that it will give you an easy-to-use resource -- a place to turn when you need quick solutions, helpful how-tos, and maybe inspiration to grow something new. Pages and tips are added all the time. Subscribe to my blog and you'll always be the first to know about new features, articles and updates.